ULC Introduces the "Timothy Project"
We are very excited to announce the launch of the Timothy Project, a new program designed to provide social, emotional and spiritual support for our middle school boys. 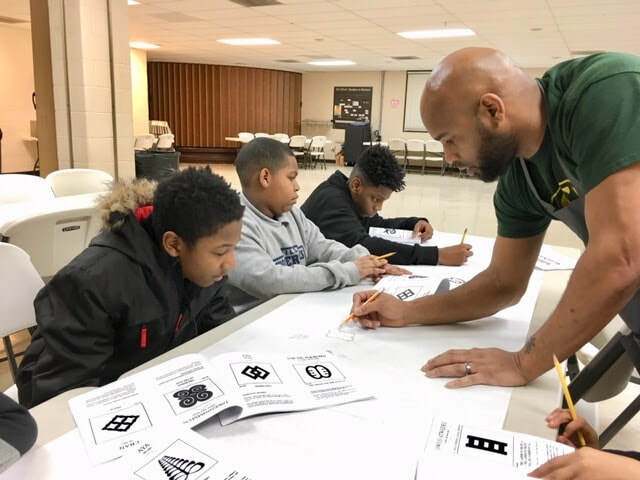 The Timothy Project is based on the scripture from 1 Timothy 4:12 "Don't let anyone look down on you because you are young, but set an example for the believers in speech, in conduct, in love, in faith and in purity"
​Carmen Garner teaching the boys about African Adinkra Symbols. Each boy selected one to paint that he thought best represented himself. ULC is currently in need of tutors for its Wednesday night tutorial program. If you live in the Washington, DC Metro area and can make at least a one-year commitment to a student, please contact Sherry Woods. Please take a look around and feel free to reach out. We'd love to hear from you! 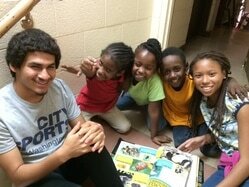 ​ONE Ministries - UNIQUE Learning Center (ULC) is a non-profit 501c3 organization that provides a nurturing and educating Christian environment for at-risk children and youth in the historic Shaw community in Northwest Washington, D.C. Learn more about ULC. By simply using the link below to do your Amazon shopping, Amazon will donate .05% of your total purchase to ULC! Thank you for helping us MAKE A difference. © UNIQUE Learning Center 2010-2017. All Rights Reserved.